This past week was homecoming week for so many of my friends, and in military life, there really is nothing better than homecoming! 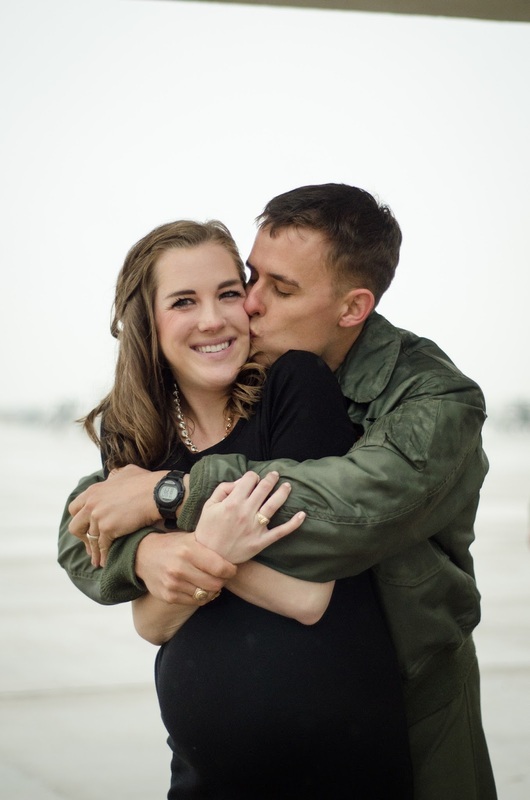 Deployments are long, hard, and emotionally exhausting, but making it to homecoming is the sweetest victory. 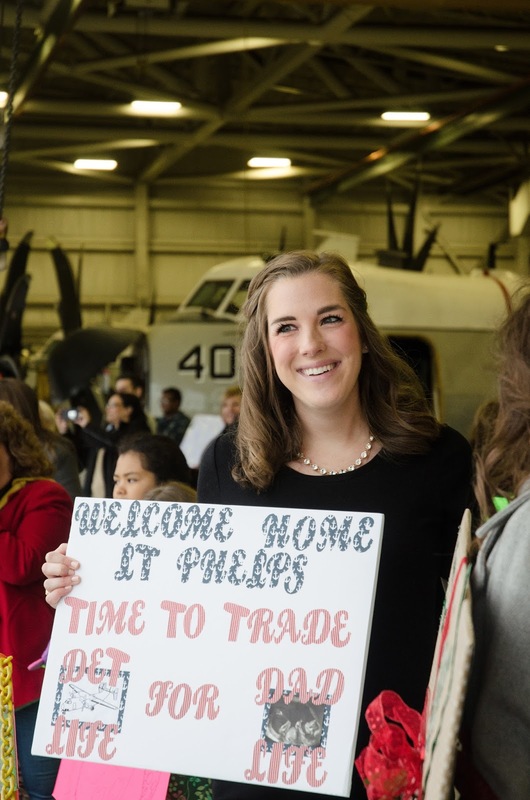 All homecomings are a little different, but I've been to 4 homecomings on the Naval aviation side, so I thought I'd share 4 little known facts to expect with this type of homecoming. 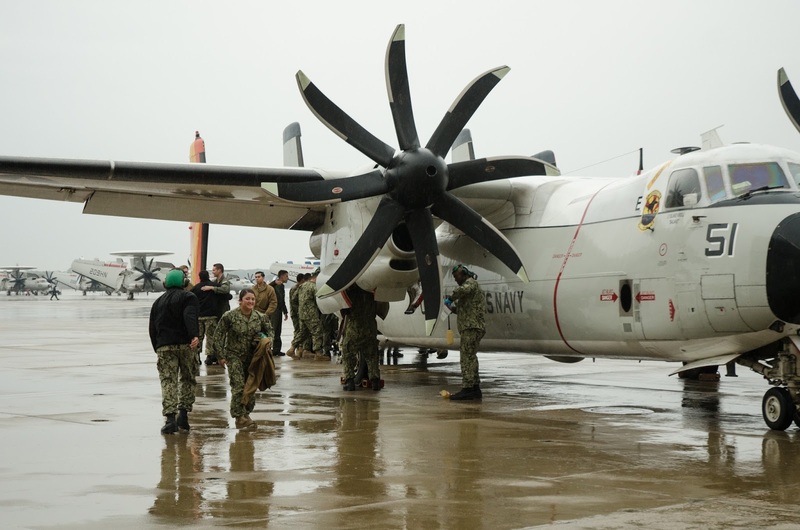 All of the planes fly home a few days ahead of the boat, which is awesome for two reasons: you get your loved one back that much sooner, and you don't have to share homecoming with 4,000 other people. 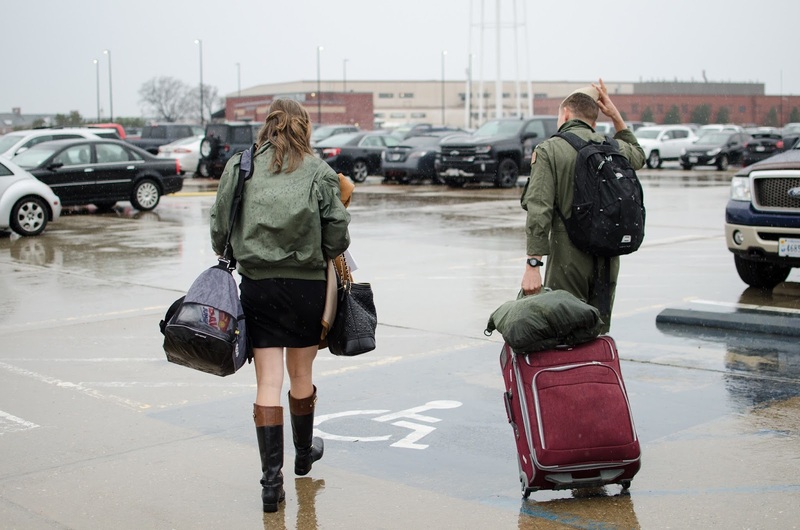 Each squadron flies back separately to their hangar where their loved ones are eagerly waiting their return. It's more intimate, and deployment is a couple of days shorter... can't complain about that! I attended my first homecoming to support one of my friends, and I could not believe how quick it was! As soon as the planes landed, the hangar was cleared out in 20 minutes. This makes sense when you think about it. If your spouse had been gone for 7 months, would you want to sit around making small talk with your friends? Nope. You'd get the heck out of dodge, and that's exactly what everyone does. If you're in the military, you're familiar with the term "hurry up and wait". That, my friends, is homecoming in a nutshell. You arrive an hour before the planes are supposed to land to make sure you don't miss it, and then you end up waiting around a while to account for any number of unforeseen delays. For my homecoming, we found out while we were waiting that one plane was on their way back, and the other was stuck on the ship with maintenance issues. I got lucky, and Parker was on that first plane. The people with loved ones on the second plane ended up having to wait another 3 hours that day. For most homecomings that I have been to, the planes do not land right when they are supposed to. Okay, so this is an opinion, not a fact. I loved my wedding day, but there is something so special about standing in the hangar knowing your husband is just minutes from landing. After months and months of waiting, tears, and prayers, this journey is finally coming to an end. It's a huge feeling of pride and accomplishment standing there knowing that you did it. You did something a lot of people honestly couldn't do, and that "I did it" feeling was better than my wedding day. The jitters, anxiety, and butterflies you feel? Those are probably the same as your wedding day, but they are definitely there! Congratulations to everyone finishing deployment on the USS Bush. So grateful for a safe homecoming for all! I love that I got to capture this first homecoming for y'all!! Nothing quite compares to the feelings of a homecoming! We have had two of them and they are just beyond incredible. That is so neat! 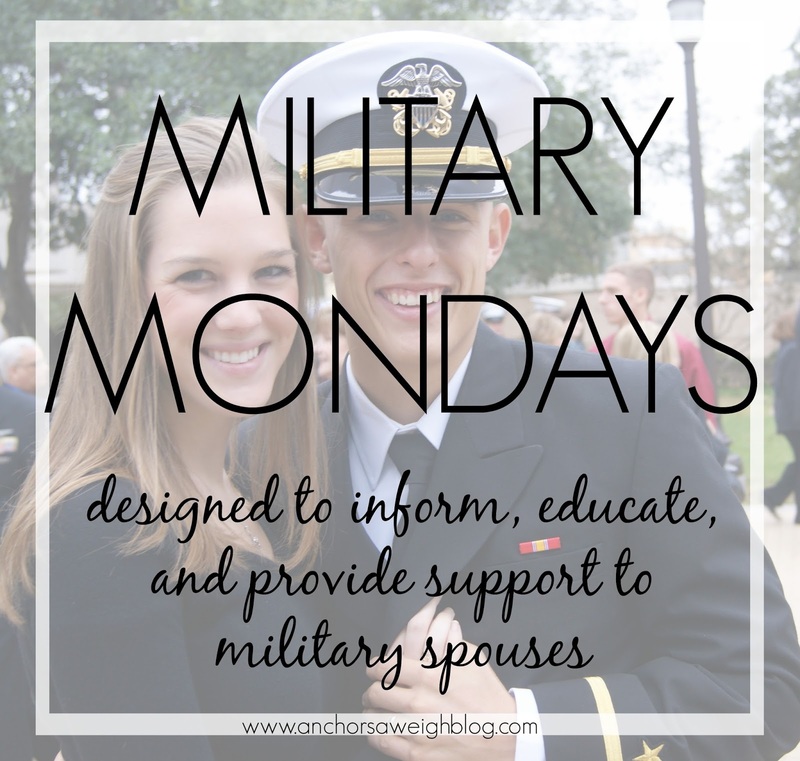 I've only been to one homecoming (I didn't know any of the soldiers or spouses, I just wanted to go) but it was completely different.